One of the most secure hardware wallets now supports one of the fastest, most private cryptocurrencies. 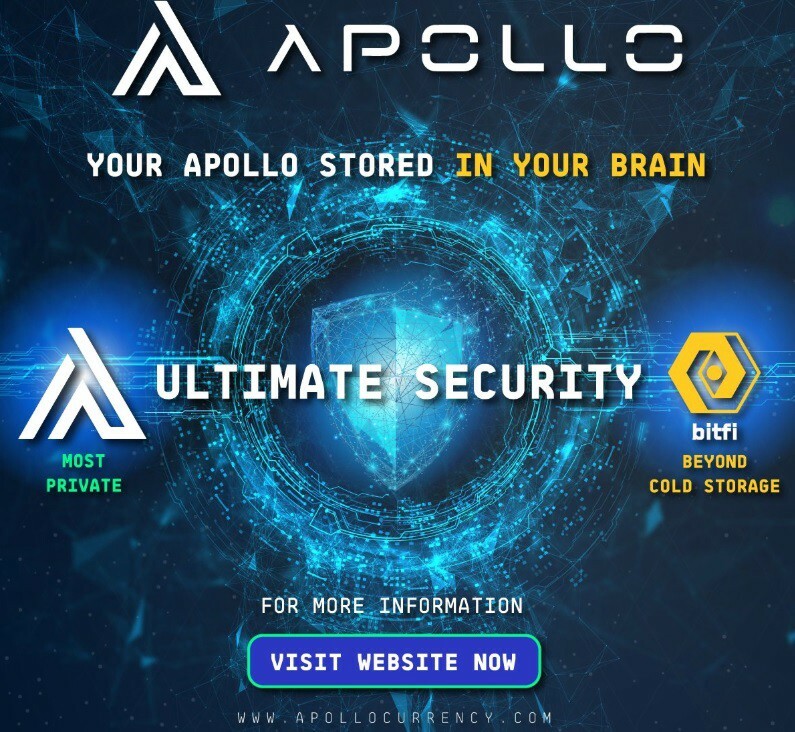 Bitfi this past week integrated Apollo (APL) — an all-in-one privacy currency that combines mainstream crypto features into an unregulatable platform. APL users can store their funds on the hardware cryptocurrency wallet. [The] private keys are simply not stored anywhere, ever. This is another layer of security that goes beyond keeping the private key outside the computer environment or from devices with internet access. 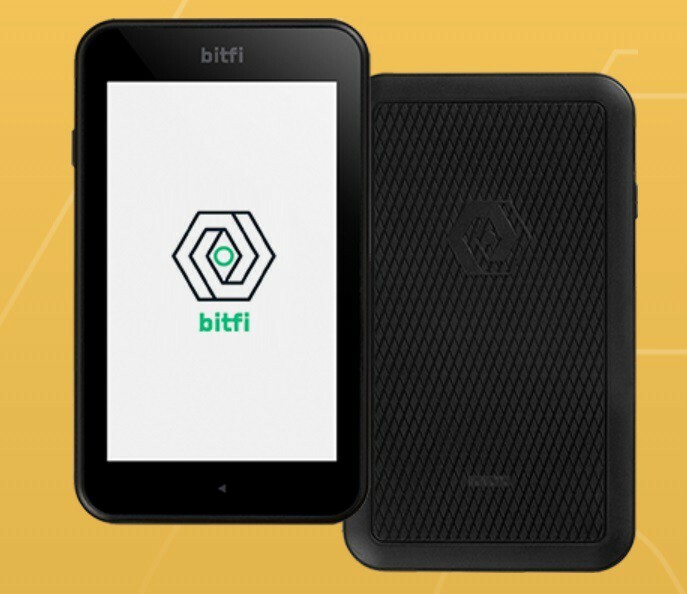 So even if your Bitfi hardware wallet is seized or stolen, there is nothing that anyone can do to extract the private keys because they are not on the device in the first place. Bitfi’s website states that new DMA-2 provides “optimized utility, fortress-like security” and is easy to use. Last month, Apollo Foundation released Apollo Wallet Android app so you can bring APL wherever you go. Download it on Google Play. The IOS version will be released upon completion of Apple Store review. [2FA] feature adds another level of security to the Apollo project. 2FA is developed for web, mobile and desktop wallets. As a result, this feature increases the overall security level of the wallet and it makes hack attempts more expensive than profits those attempts provide. 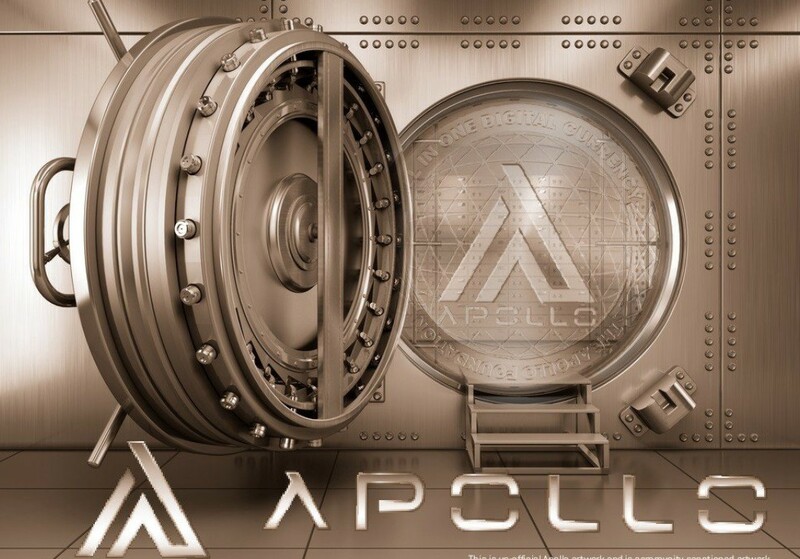 As of Jan. 21, Apollo’s market cap is $46.7 million. APL is up 324% for the month of January (as of this writing).